Corona Collection |ET&T Distributors, Inc. 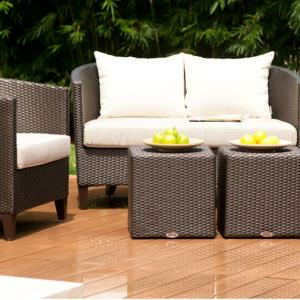 The Corona Resin Wicker Deep Seating Collection is modern look to wicker. This stylish collection looks great on the pool deck or under one of our large umbrellas or cabanas. Your guests will love this deep seating outdoor seating area. There are not stock colors available at 12-14 week lead time.